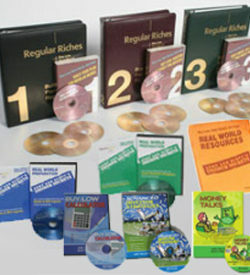 BUSINESS IN A BOX (Sold separately for $7555) Learn Our Secrets on How Regular People, Like you and us, Get Rich with Real Estate. 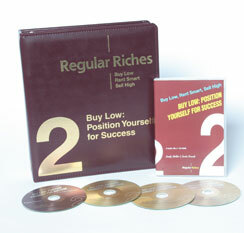 Our system is Easy to Use and Will get YOU ON THE ROAD TO REAL ESTATE RICHES! 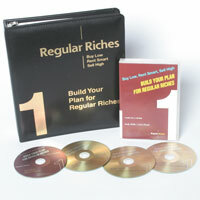 Build Your Plan for Regular Riches teaches you how to successfully invest in real estate. 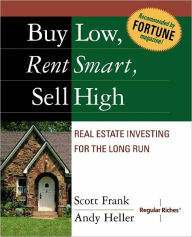 Scott and Andy take you step by step through their entire “Buy Low, Rent Smart, Sell High” formula. 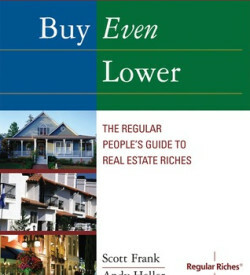 Buy Low – Position Yourself for Success reveals the types of properties Scott and Andy look for, and then takes the investor through the different ways they find these properties at a discount. (read more). 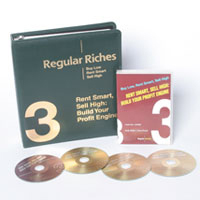 Rent Smart, Sell High–Build Your Profit Engine takes you from A to Z with everything you need to know to “rent smart” and “sell high” (read more). 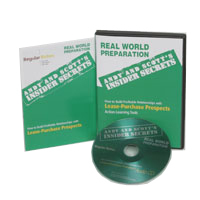 The conversations with lease/purchase candidates on the phone and when you show the home are vital to your success. This product will help you pick the right tenant, and pick the right tenant in day–not months! 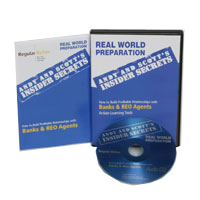 Scott and Andy role play as they take the reader through the challenges of finding and approaching banks and real estate agents that maintain portfolios of bank-owned properties (REO agents). 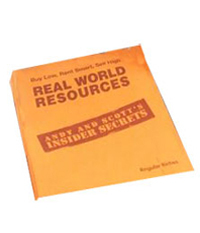 In this original exceptional product, Scott and Andy share with you some of their “real life secrets”. 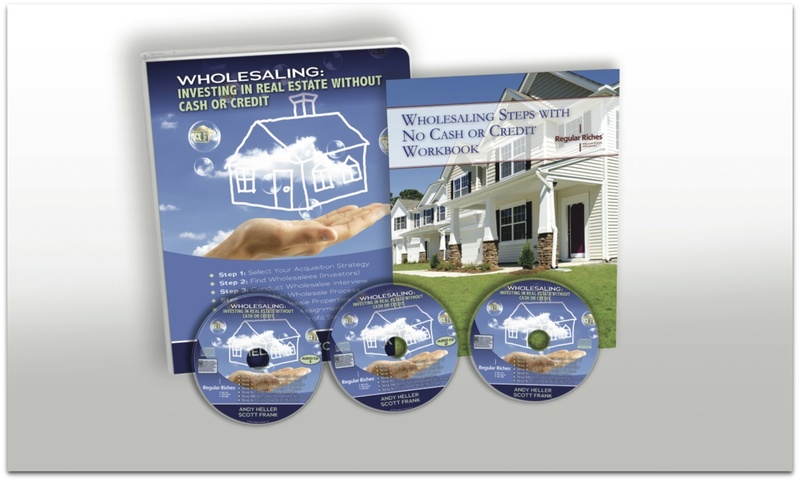 They show you actual copies of documents that they have used in their real estate investing career that have made or saved them a lot of money. 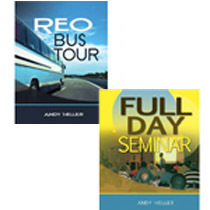 SAVE MONEY, TIME & ENERGY!!! 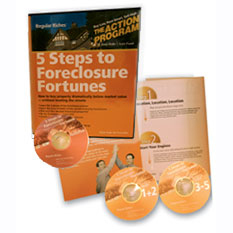 FORECLOSURES are one of the BEST ways to buy discount real estate. 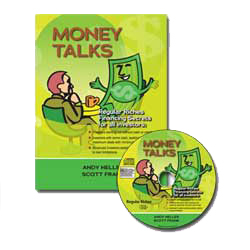 Andy and Scott walk you through 5 easy steps to make this an integral part of your sucess. 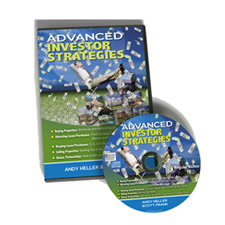 BUYING LOW FINANCING TIPS FOR INVESTORS OF ALL LEVELS GETTING STARTED WITH OUT CASH OR CREDIT Andy and Scott with guest contributor Investor Loan Broker Michael Gross Scott and Andy lay out a two step formula for investors without cash or credit. Type just 4 numbers into the Buy Low Calculator, and this software tells you what to pay for your investment properties. 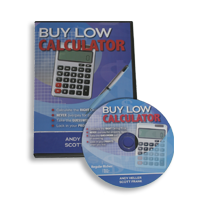 Investors who master and use the Buy Low Calculator make thousands of dollars more on their purchases.